Inspire Women’s Leadership Program (created in Fall 2008) aims to provide leadership enhancement and empowerment opportunities for UCF women students. Through networking, mentoring, personal development, and experiential training, UCF women students will be prepared to hold various leadership positions on campus and in the work arena. Student will explore who they are as individuals, establish goals, and identify resources necessary to help them reach those goals. Students will embrace education and expand the ways in which they approach academic challenges. Students will understand the value of compassion, awareness, and acceptance of others in the community. Students will develop skills necessary for success in today’s ever-changing society. The mentee component is specifically designed to feed the need for dedicated, ethical, articulate, and solution-oriented leaders in the world community. 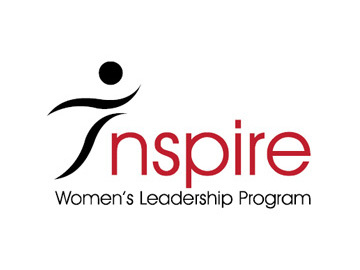 Inspire aims to prepare women to be authentic leaders in a changing world. Inspire students learn leadership skills that are critically important to be successful, professional women in today’s job arena through seminars facilitated by experts in the field of business, communication, and education. What is the Inspire program? What are the benefits of being in this program? The intent of the program is to continue to develop their leadership skills, connect students with faculty and administrators on campus, and connect with “like” students (students have the same experiences and interests). Students will have the opportunity to engage in research opportunities centered around women’s issues. What do students do in the program? Students are required to take a two-credit hour Leadership course or an Independent Study course. This is the primary way that students learn about leadership. Students will also attend various seminars and workshops including the Heels of Power Leadership conference and Elect Her. How many people are usually accepted? Acceptance rates range from year to year. We accept applications on a rolling basis. Students must have applied to the program by Add/Drops of the semester in which they wish to participate. What type of events will I have to attend? Events will focus on women’s issues and include but are not limited to Heels of Power, Elect Her, Women’s History Month, Lavender celebration and other workshops and seminars throughout the semester. Do I have to be woman identified to participate in this program? No you do not. This program is open to all students. If I wasn’t a LEAD Scholar my first and second year can I still apply? Yes! You do not have to have been in the LEAD Scholars academic program to apply. You will need to enroll in LDR 2001, LDR 2002, LDR 2262 or independent study. If I have already completed the LEAD Scholars Academic program am I able to still participate? Yes! You can enroll in either LDR 2262 or independent study.